In this recipe, cherry tomatoes are roasted then allowed to cool before being tossed with cucumber and herbs to make a refreshing side dish (or main) that’s perfect for a hot day. The tomatoes take on an wonderful sweet flavor when roasted which pairs well with the cool cucumber and fragrant herbs. 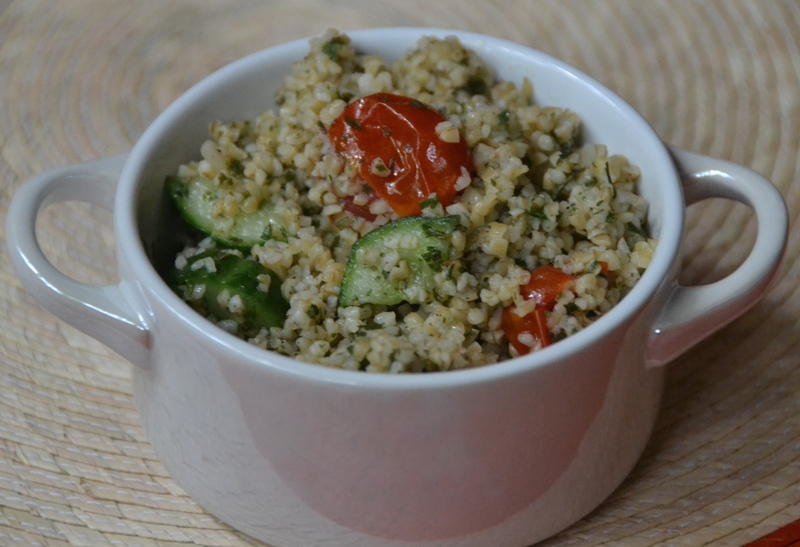 The dish will improve if the tabbouleh sits in the refrigerator for a few hours or overnight. 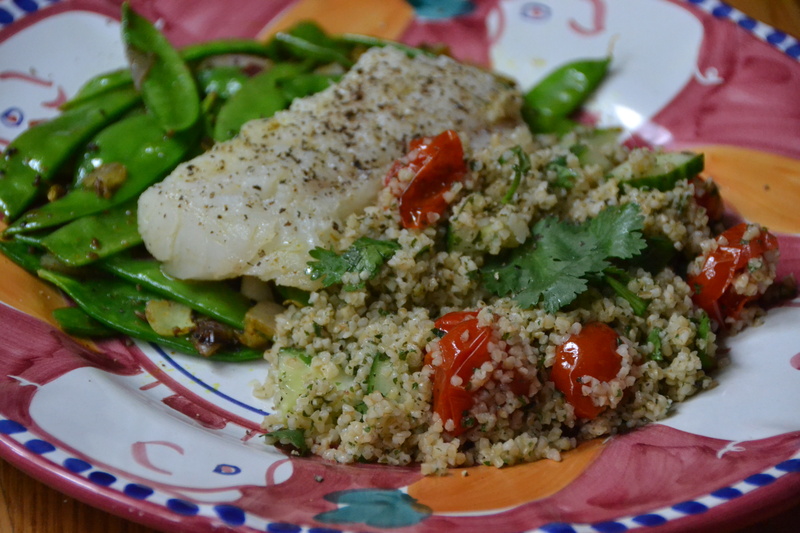 I served this with a pan seared cod and snap peas. a quick question in which I’d like to aask if you do not mind. thoughts rior to writing. I’ve had difficulty clearing my thoughts in getting my thoughts ouut there. begin. Anny recommendations or tips? Thank you! of your site? Its very well written; I love wjat youve got to say. it better. Youve got an awful lot of text for only having 1 oor two pictures. web site came up, it appears good. I’ve bookmarked it iin my google bookmarks. I’ll appreciate in case you continue tis in future. Yourr style is very unique compared to other folks I’ve read stuff from. Thznks for posting when you’ve got the opportunity, Guess I’ll just book mark this page. similar onee and i was just wondering if you get a lot of spam comments? I have read soime excellent stuff here. Certainly value bookmarking for revisiting. I wonder how so much attempt you put tto make such a excellent informative site.